If you are not sure whether this chain guard is for, please use our product consultants on the left or write us a message. This chain guard only fits your bike together with the original Dekaform bracket. You can browse our bicycle parts / accessories and easily find the right bracket for your bike. If there is no bracket for chain guards at your bike mounted yet, you can browse our bicycle parts / accessories and find the right bracket for your bike. In case you want to retrofit a chain guard to your bike, you can find instructions on the Dekaform website. For bikes with double or triple front chainsets with up to 48 teeth -speed gear systems with front derailleur. For many top-swing and down-swing derailleur suitable. 2 stainless steel screws (short) M5x10 for mounting the chain guard to bracket with M5 thread, article no. ST-100-2 Click here. Color variations are possible. * All brand names are the property of their respective owners. atb, city bike, trekking bike, touringbike, woman´s-bike, men´s-bike, . For bikes with double or triple front chainsets up to 48 teeth -speed gear systems with front derailleur. Version with forward angled mounting holes. This bicycle chain guard only fits together with our bracket / holder ST-230 from DEKAFORM. The range of the derailleur was lifted upwards in this embodiment. The upper leg of the bracket is therefore longer than 115 mm (4,53 inches. 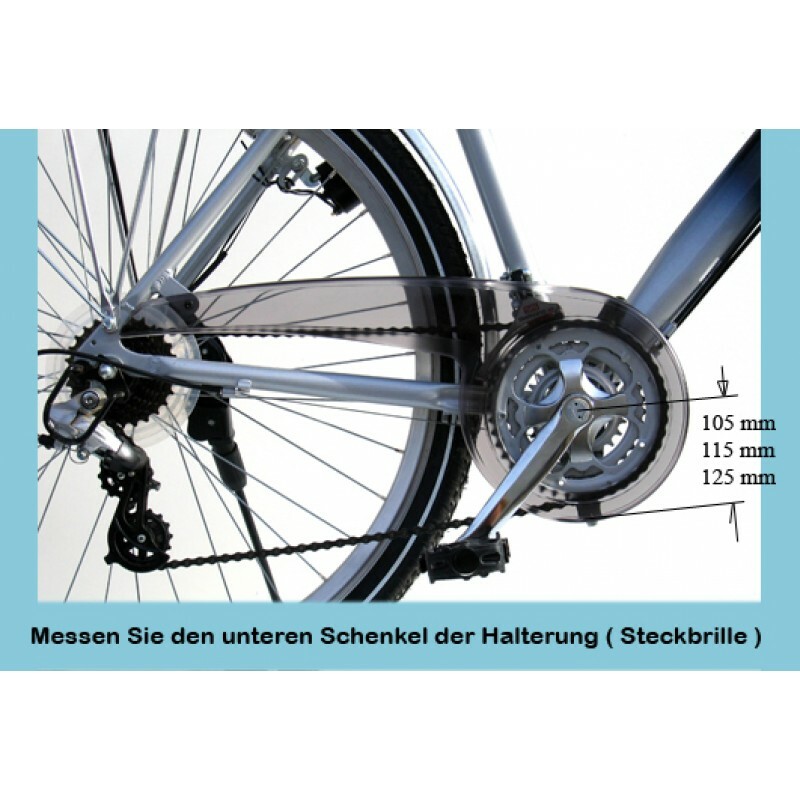 ), giving your derailleur on your bike more space. For the adjustments to the front derailleur a recess has been built into the chain guard.. The curved and sleek design makes this chain guard a stylish choice for your bike. The excellent craftsmanship ensures durability and high quality. 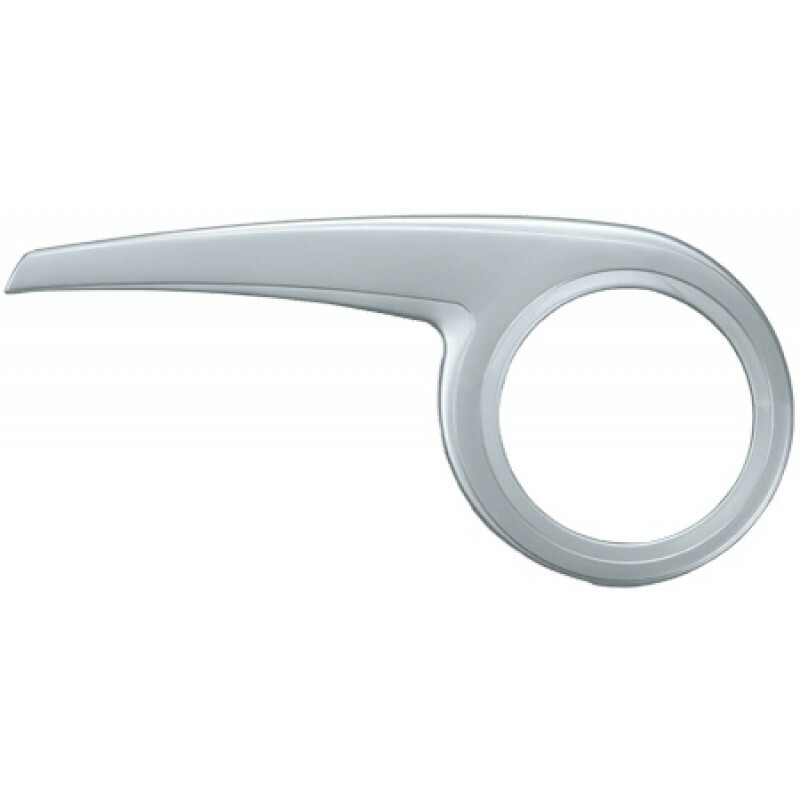 The outer contour of the lower region has a matte / sandblasted look. The middle and upper range is glossy and highly polished. We use only the highest quality plastic material for our transparent and black models to ensure the best durability and clarity. The small diameter of the hole for the chain wheel trim is 171 mm / 6,73 inches. 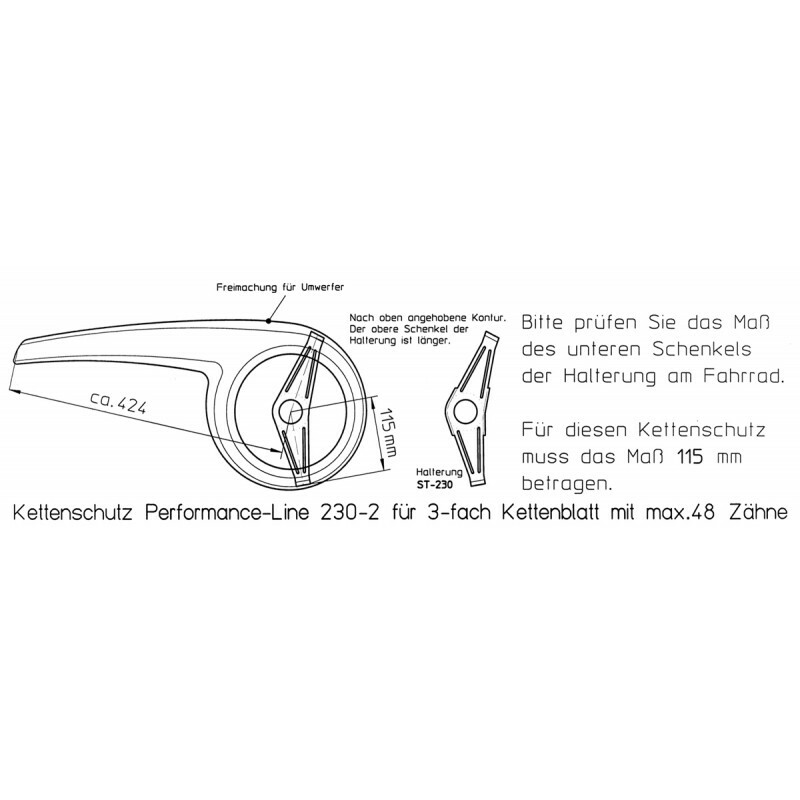 Length (from the center of the bottom bracket measured diagonally to the end) : 424 mm ( see drawing ). Version with two forward angled slot holes . Integrated slot hole for the front derailleur. The size mostly depends on the size of your bracket / holder at the front of your bike. The attachment point can be applied by yourself at the rear end to make sure it perfectly fits your bike. That`s why all chain guards from Dekaform come without a hole at the rear end.